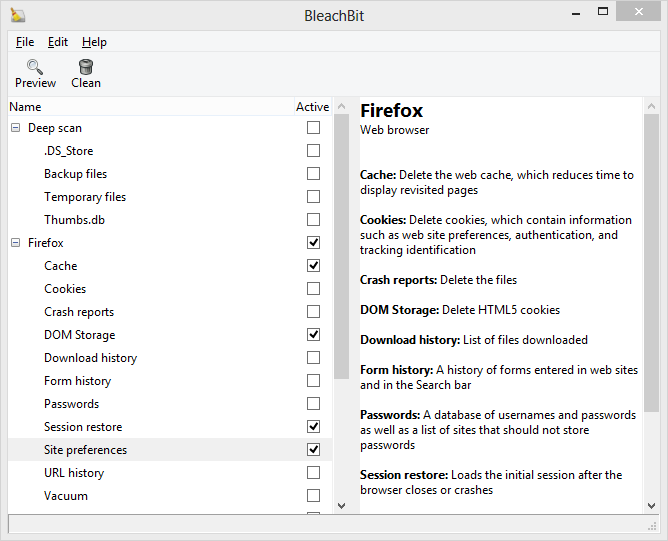 The following are a list of cleaners available in BleachBit 2.2. Hover over the cleaner name for a list of options. Delete Linux localizations: delete languages you don't use. 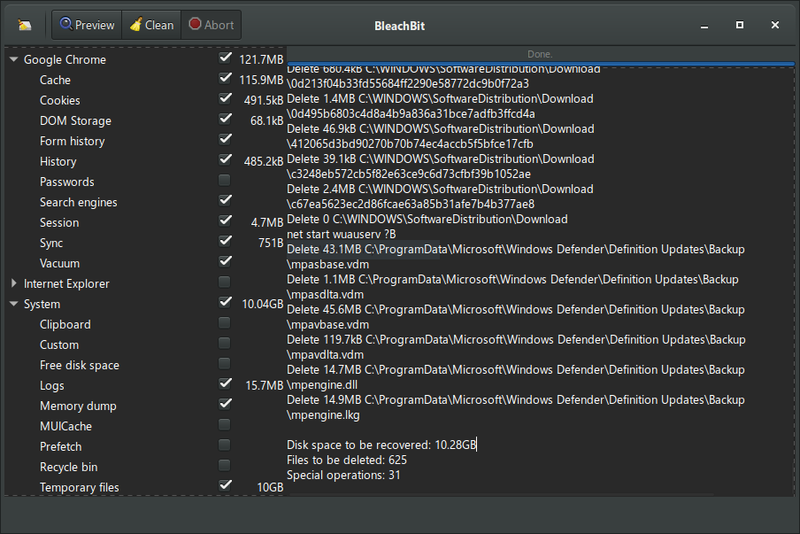 More powerful than localepurge and available on more Linux distributions. Fix: no longer follow symlinks in the Recycle Bin (idea thanks to Glashkoff). 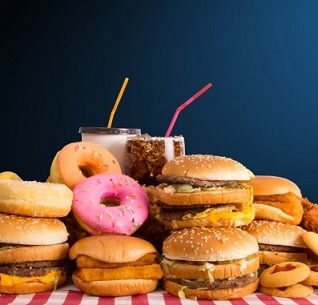 1,280 7,068 Andrew Ziem <img src="https://www.oldergeeks.com/downloads/gallery/thumbs/BleachBit1_th.png"border="0"> Mar 21, 2019 - 11:48 2.2 8.54MB ZIP , out of 14 Votes.